Does the quality of borrowers reflect upon the quality of lender? Why some stocks have low P/E ratios? It is always a good learning reading your analysis on management quality based on related party transactions. One question. I was analysing Pincon Spirits; I found that banks are giving huge short-term working capital loans to Pincon despite stressed CFO and negative FCF. Most of the banks were regional banks. One among them was _____ bank (sic). So is it right to form an opinion on the quality of a bank based on its disbursements made to such financially stressed company? The reason I came up with this question is that I had formed investment rationale for _____ bank sometime back and I avoided it after analyzing Pincon. Thanks for writing to us. We are happy that you found the article useful. We are happy to see that you are doing your own equity analysis and spending time and effort to understand different concepts. Different banks follow different lending approving mechanisms. In some cases, individuals may approve the loans. In such cases, some poor lending decisions may be a result of the decision of a few individuals. Therefore, might not be representative of the entire organization. On the other hand, in other banks, the lending decisions may be centralized in certain authorities indicating general practices in lending. Therefore, it is difficult to have an opinion. Moreover, it is very difficult to assess the lending quality of any bank by relying on the numbers reported by them. This has been evident from the results reported by banks in last a few quarters when suddenly a lot of NPAs have come up whereas earlier the asset quality was reported to be good. Further advised reading: Why Management Assessment is the Most Critical Factor in Stock Investing? Hope it answers your queries. All the best for your investing journey! My keen interest is to know why the PE of any stock remains near 2-5 (very low) for several years despite good CFO and nice FCF%. For example Manaksia, Maithan Alloys etc. Thanks for writing to us! 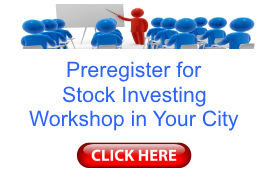 The present P/E of a stock in the market is dependent upon the current stock price, which is a result of the cumulative impact of all the participants. 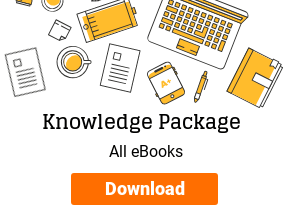 There may be many factors apart from fundamentals of the company, which drive the behavior of market participants and thereby affect the market price and the P/E ratio. Therefore, we are not able to give any opinion about the prevalent P/E ratio of any stock. 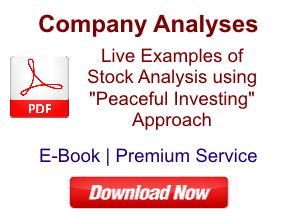 The above discussion is only for educational purpose to help the readers improve their stock analysis skills. It is not a buy/sell/hold recommendation for the discussed stocks. I am registered with SEBI as an Investment Adviser under SEBI (Investment Advisers) Regulations, 2013. Currently, I do not own stocks of the companies mentioned above in my portfolio. Debt Securitization: how does it benefit the loan seller, ESOPs: advantages & disadvantages, CSR: what if a company does not spend anything? 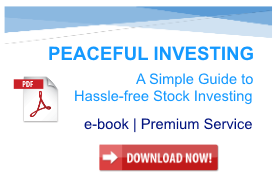 Get the e-book: "Case Studies: Applying Peaceful Investing Approach"
“Peaceful Investing” approach is the result of my more than a decade of experience in equity markets. This approach helped me invest even when I had a full-time corporate job and could not spare a lot of time for stock analysis. During my investing journey, I have faced all the common challenges of the investors, the biggest one being “scarcity of time”. “Peaceful Investing” approach keeps in mind that an investor will have limited amount of time to spare for stock investing. 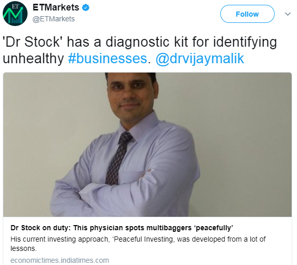 The objective of “Peaceful Investing” approach is the selection of such stocks, where once an investor has put in her money, then she may sleep peacefully. Therefore, if later on, the stock prices rise, then the investor is happy as she is now wealthier. On the contrary, if the stock prices fall, even then the investor is happy as she can now buy more quantity of the selected fundamentally good stocks. 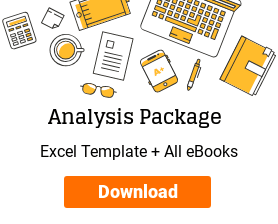 Why management analysis is the most important in stock investing?